Bag Bang Theory’s Fall/Winter 17 collection consist of vibrant & artistically structured bags. This funky collection is inspired by indigenous traditions & playful concepts. Our handbags are composed of a mixture of fibers which can be sourced from fabric establishments around the world. The Fall/Winter 17 collection was artfully designed and handmade by Jazmin India in New York City. Please follow our website for our Winter/Spring Look Book and get updates on new handmade productions and sales. 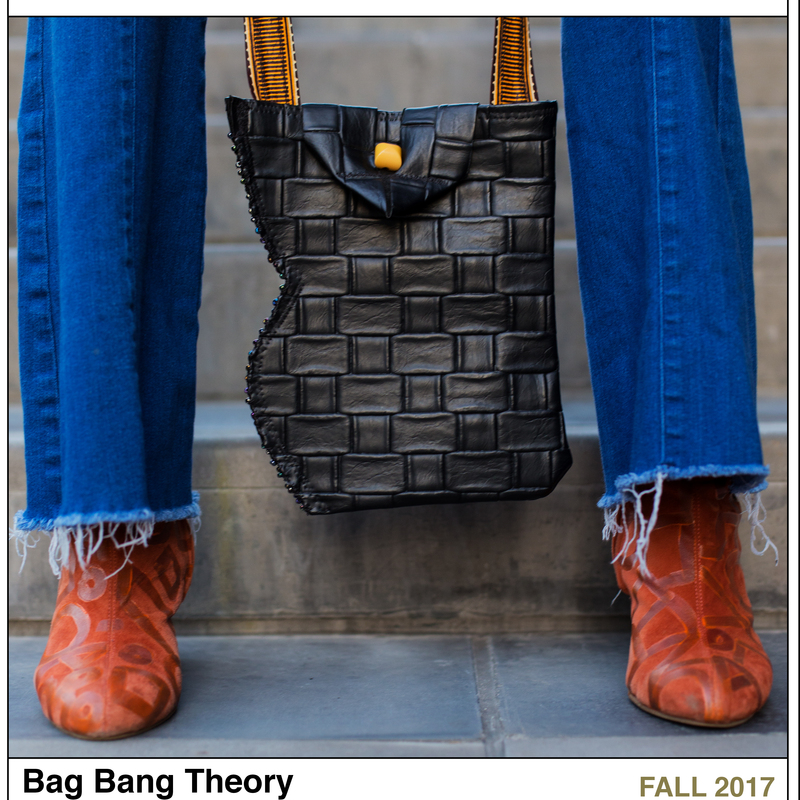 We’re always posting new works in progress and cool things we’re facilitating on our Instagram Page @bagbangtheory & Facebook Page Bag Bang Theory – So go ahead and give us a follow. We hope your Fall is a ball, see you in the Winter!